How many tables fit in a 20x40 tent? How many tables fit in a 20×40 tent? 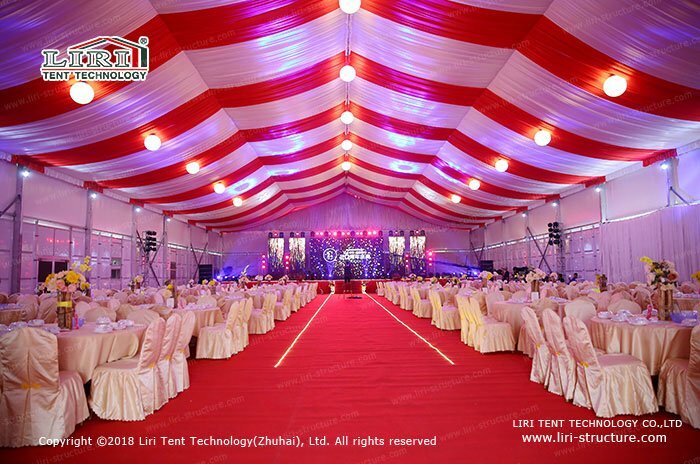 The 20×40 meter tents produced by Liri tents are widely used in weddings, parties, exhibitions, and various small and medium events. So when we purchased a tent of this size, how many tables should be placed in the tent? Usually, we need to consider activities. 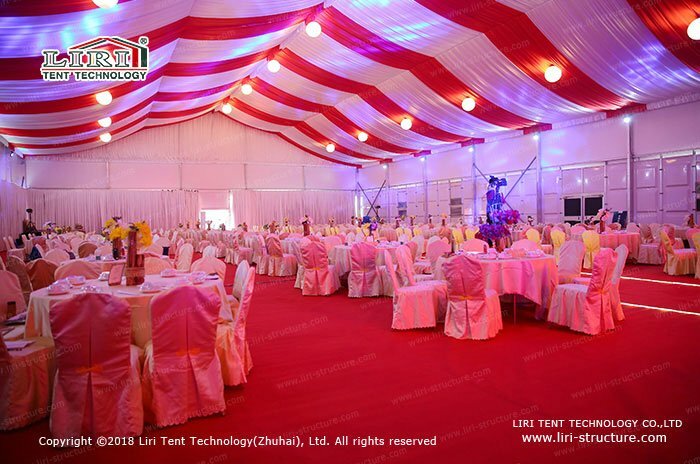 Different activities, the number of people in the 20×40 meter tent is no same, then the number of tables is not the same. Some activities do not require a table, just a stage, such as a concert. How many people can you fit in a 20×40 tent? For weddings, we usually calculate the area of 1.2 square meters per person, then the 20×40 tent can hold about 600-700 people. If we arrange it according to a table of ten people, then we need about 60-70 tables, then on average, the area of each table is about 1.3 square meters, and the diameter of the table is about 1.3 meters. Of course, we can also choose the square table, then the size of the square table can be more choices, such as 1×1.3 meters. Of course, some people like big tables, so we can also arrange large tables. When we have a party. At this time, a big table is a good choice. In this case, the number of tables, we need to calculate according to the actual situation. In general, the number of tables is not over 20, because we need enough space for the guests. 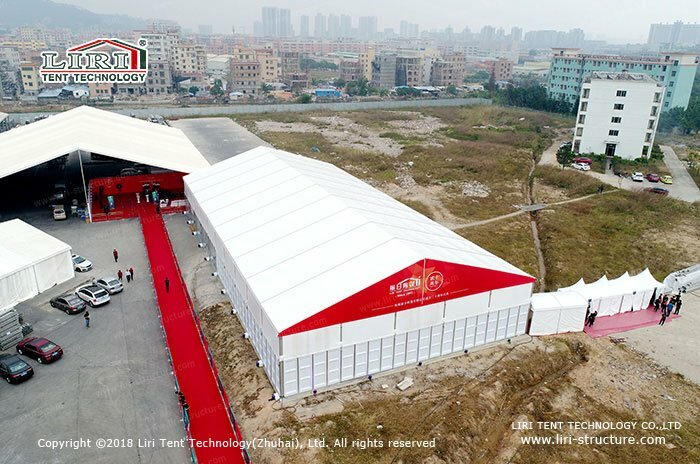 The tents produced by Liri Tent are exported to the world. They are widely acclaimed in Africa, Europe, America, and Australia. Customers who purchased Liri tents like it very much. When they purchase tents, they also purchase tables directly from Liri tents. However, the Liri tents offer fewer types of tables, mainly round tables. So when we buy a 20×40 meter tent, we probably know how many tables to buy now. Of course, after we have purchased the table, we can also buy a chair in Liri. If we are still unsure about the layout of the tent, then we can arrange it according to the conventional layout scheme above, which is the best stable method.